Having the right apps in place can help you in your ecommerce marketing. Technology is a great asset especially when you can use it on different platforms from your mobile device and desktop. Chrome is great for its extensions to help you really get more functionally and value out of your browser. If you are still having some issues with your ecommerce store, here are 5 of the best Google Chrome apps to help you gain more sales. Instead of having to look at your items and see what the best coupon or deal should be for the time, this app helps you automatically set this price. 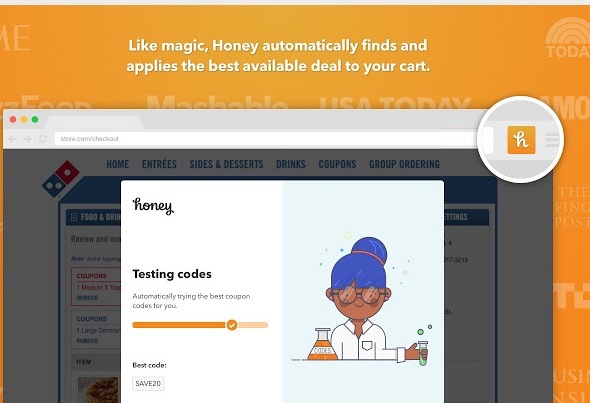 Honey automatically applies and finds coupon codes when you shop. For an ecommerce marketer, it would be great to add your own coupon code and promote it through Honey because it gets a lot of traffic. People that are already on the site can find your deals instantaneously. Not only will this drive tons of traffic to your site during peak hours, but you can get more upsells this way. You can set timers for exclusive deals so there’s more of an enticement to buy. Having that F.O.M.O. (fear of missing out) on a great sale will give your site more authority. In turn, you’ll find that this traction will help you rank better. There’s no better teacher than a big ecommerce store that you can learn from. Let’s say you’re an Amazon fanatic and you want to keep a gauge on how their products sell. It’s a good way to compare and contrast how you sell your own items. What Keepa does is actually look at the price history of all the charts for Amazon through different versions, sizes, and colors of products. 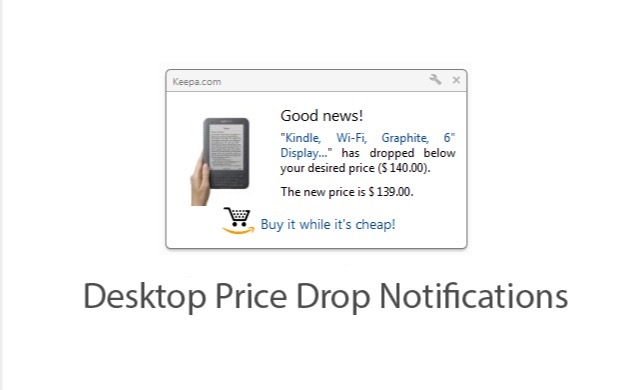 They go to track and watch directly from the product page and see if any of them dropped below your desired price. If you are looking to sell certain items on Amazon or even on your own store, this is an excellent way to keep tabs on their data. When it comes to buying an item for a specific season, you want to make sure you can compete with the majors as well. This is great research to help you take your brand to another level. You still need a way to drive more conversions to your store. Sniply is great at maximizing your conversion rate. With each link you share, they add a call-to-action to help you promote yourself more efficiently. You can embed your own call-to-action by embedding custom messages into your content. 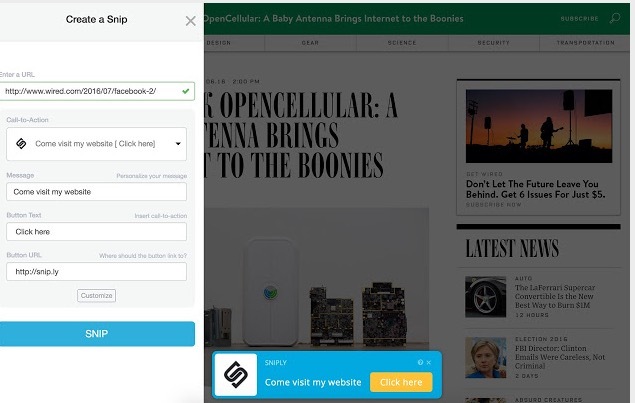 It automatically detects when you type or paste a link and will ask if you want to embed a message on that page. It converts these into powerful links that will increase your conversions. It integrates with different platforms such as Facebook, Twitter, LinkedIn, and Hootsuite. Get more leads, signups, and overall exposure to your brand. You can keep track of this data by seeing the engagement of your content and how many clicks you get with each link. Sometimes it’s about finding the hot trend in the market before you can increase your sales. The key with Ahrefs is you’ll know trends of hot button keywords and phrases from a week, a month, 6 months, and a year ago. This will help you come up with even better content so that you can get more targeted traffic on your site. 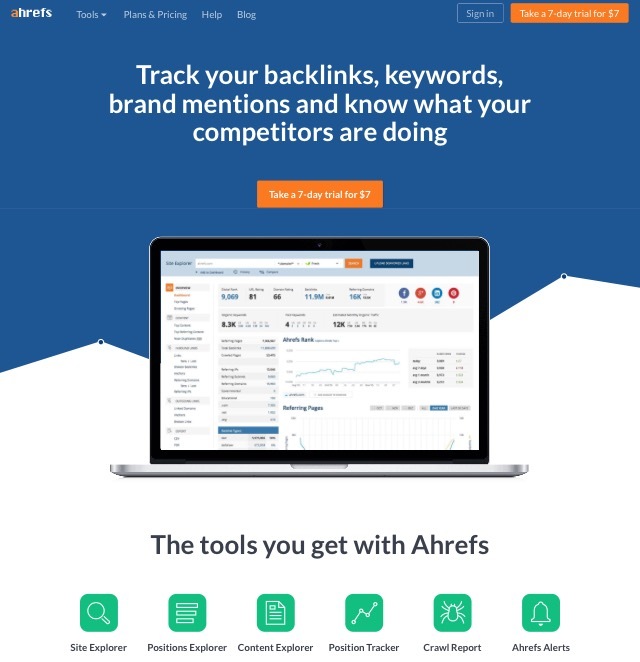 You’ll also be able to trace where different backlinks fall so you can easily see the void in your competition. You can fill this empty place and start exploiting it to your advantage. Getting these kind of metrics will help you find out a good course of action for promoting content and engaging with your audience. This in turn will help you drive more sales because you’ll fill in the gap with valuable information that you can use to help market your content and products. This is very important to help you sustain a long-term business. Being aware of your email stats is very important. You could be juggling a number of things and on a desktop. However, you might want to take a quick look at how your emails are performing. This is a great plugin to help you keep track of your stats in the latest campaign you promoted. This saves a lot of time of having to sign in an app or service on the web. 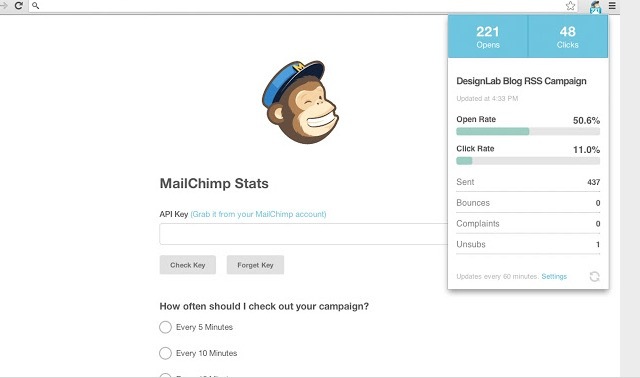 Get a gauge of the clickthrough rate and the open rate. This will help you stay afloat on what email messages work and what doesn’t. The benefit of this plugin is you’ll be able to set the time of how often this service checks your campaign. It could be once every 5 minutes to an hour. You’ll be able to multi-task in other aspects of your business without being bogged down on constantly checking email stats. When it comes to gaining more ecommerce sales, you need some good tools in the shed to help you breakthrough. It’s important that you have good stats to help you develop content and see if actually works so you can give customers better value. Also, you want have a leg up on your competition and exploit their weakness by finding out price ranges and the things they haven’t tapped into that you can easily fulfill. These are just 5 great sources to help you build longevity for your brand. What are some Chrome plugins you use to help increase your sales volume? Post a note in the comments.